Fujita DRS11 4D comes equipped with a 4D massage roller, Real 4D body scanning, 16 automatic programs, and much more. 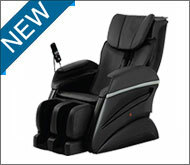 The 3D real massage technology in all FUJITA Massage Chairs is unlike any other massage mechanism on the market today. 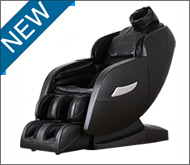 3D L-Shape technology in FUJITA SMK9700 Massage Chair is unlike any other massage mechanism on the market today. The Fujita KN9005 massage chair is made by the next generation of 3D massage rollers is designed for outstanding range and flexibility. 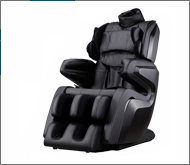 Fujita Massage Chair was formed by a group of professionals with more than 45 years of experiences in promotion harmony and balance between human beings and mother nature. With headquarters located in Brea, our dedicated team, simple order method, efficient distribution, and effective market plan, we help our customers and distributors to achieve a healthy life. We design, manufacture, and import a variety of high quality massage chairs to improve health and comfort based on the combined theory of natural healing, physical therapy, and acupressure. Fujita products are backed by limited warranties against defects in materials and workmanship. 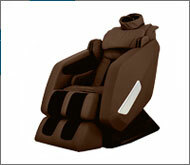 Here at Fujita massage chair, we know what our customer have to say is very important.